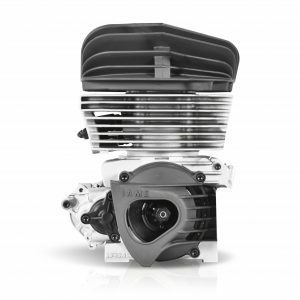 The KA100 engine package is available for a short period of time. The KA100 is a user-friendly, 22HP, complete engine package with a simple ignition system, fixed pipe, machined Tillotson carb, and an onboard push button starter. The IAME KA100 includes many of the parts utilized in the popular IAME X30 engine, and also uses the IAME Mini Swift coil and ignition. IAME USA has added this offering for North America to provide a more economical solution to high performance two cycle racing.